"Nutella Crabbies" ... the name is freaky, isn't it? 1.Preheat the oven to 140 degrees [fan assisted] or gas mark 4. 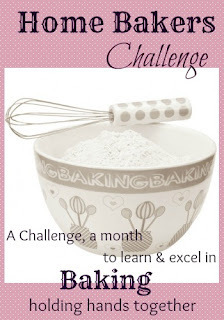 Sprinkle some flour on a clean work surface. Roll the puff pastry lightly. 2.It will be rectangular in shape. Cut it in the center breadth-wise, so that you have 2 squares of equal size. 3.Cut each square diagonally twice or cross-wise. You will end up with 4 triangles in each square. 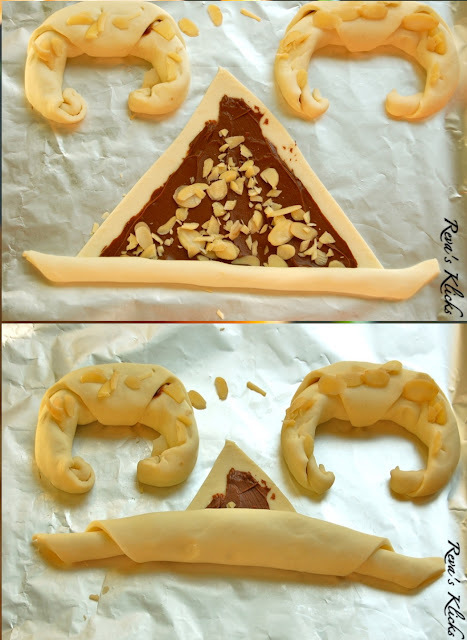 So for a single puff pastry sheet you will have eight triangles. 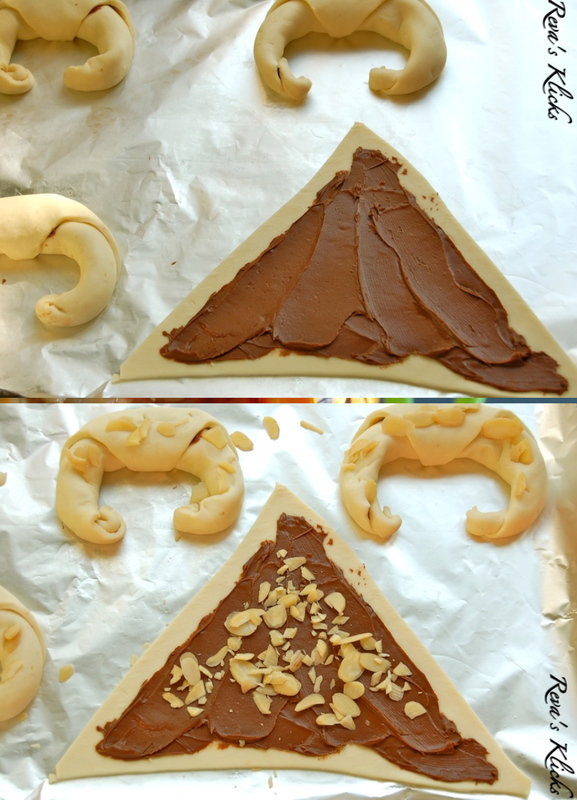 4.Smear each triangle with Nutella leaving 1/4 cm gap from the edges all around. 5.Sprinkle with some almond flakes. 6.Roll as shown in the picture. 7.When you have completely rolled the pastry triangle, turn the pastry over so that the triangular tip faces you as shown in the picture. 8.Apply a tiny bit of water on the underside of this tip and press gently but firmly. 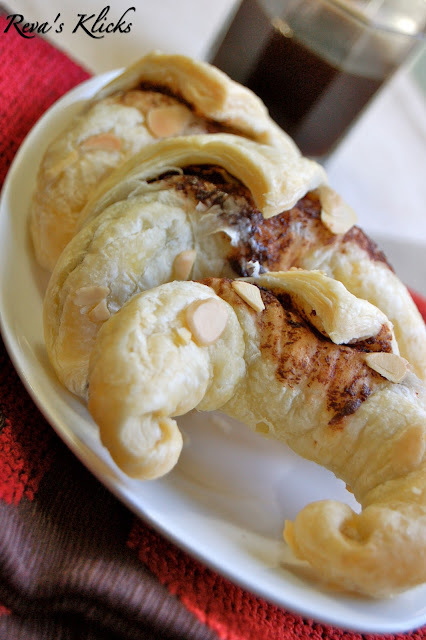 Bring the two ends of the pastry inwards and shape them resembling "Stout Crab Arms". Secure the tips firmly inwards, so that they don't puff up ajar when baking. 9.Press some almond flakes on the surface of the pastry. 10.Arrange in a baking tray and bake for 12-15 minutes until the pastries are all puffed up and the almonds are lightly browned. 11.Remove from oven and cool on wire racks until completely cooled. Note: They can be stored in air tight containers for upto 4 days. The puff pastry used in this recipe is the lighter version form the original one - meaning it has lesser calories than the traditional one. You can brush some butter on the pastry before step 9. 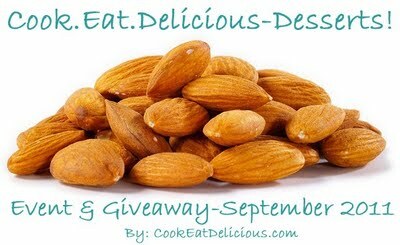 Almonds can be substituted with walnuts/hazelnuts/pecans/chocolate chips etc. 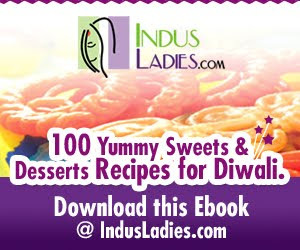 Also sending Kesar Badam Dates Idlis with Strawberry Puree. to the above event and Serve it : Steamed by Krithi and Denny . The kids are most often better than us Reva..Apt name for that and is interesting too. I already have bookmarked the recipe.Since I am always on the look out of some nutella recipes to please my lill'one.Thank you for this.One important thing I loved is that it can be stored. 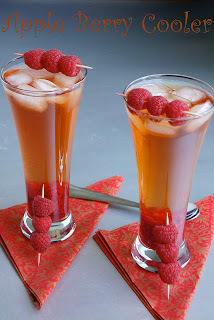 And I completely loved your blog's new look.It's elegant and clean.Cheers! wow! !revas clicks are beautiful...flakes looks crispy n perfect!! Tempting yummy croissants...lovely clicks dear..
Freaky name...yes but the dish seems the total opposite!!! Scrolled down slowly thinking it a not-veg dish!!! And to my delight find a gorgeous pastry instead!! Cute crabbies!! Lovely shots especially the last 3..
Lovely recipe...nice idea...looks tempting...nice clicks too. Beautiful recipe.....very aptly named crabbie & nice clicks. wow, they look so fabulous dear, lovely clicks and a great name..
Omg, those nutella crabbies looks damn addictive and stunning..
Omg, mouthwatering here..wat a fabulous cabbies... gorgeous clicks..
Lovely crabbies Reva .. nice clicks. unusual name for a delicious dish ! pix are awesome !! I was contemplating makign croissants sometime, but got put off my the elaborate process - this looks super easy and has options to put ion many fillings too ! Do send it over to my ongoing Global Food fest dear ! Nutella in Croissant! What a lovely bite it must be! They do look like cute crabbies. Looks awesome..
Yummy n crispy crabbies..Awesome crabbies..
wow lovely recipe....and the clicks are simply mind blowing!! Thanx for visiting my blog dear!!! 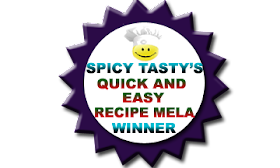 Hi Revathi,Nice to know Ur yummy blog.U have loads of innovative recipes here.Nice to get to know a fellow-blogger from TamilNadu.Hope I can learn KonguNad recipes from U.Happy to follow u and Thanks for dropping in.Reva,try posting 5 recipes per page for faster loading.Enjoy Cooking. 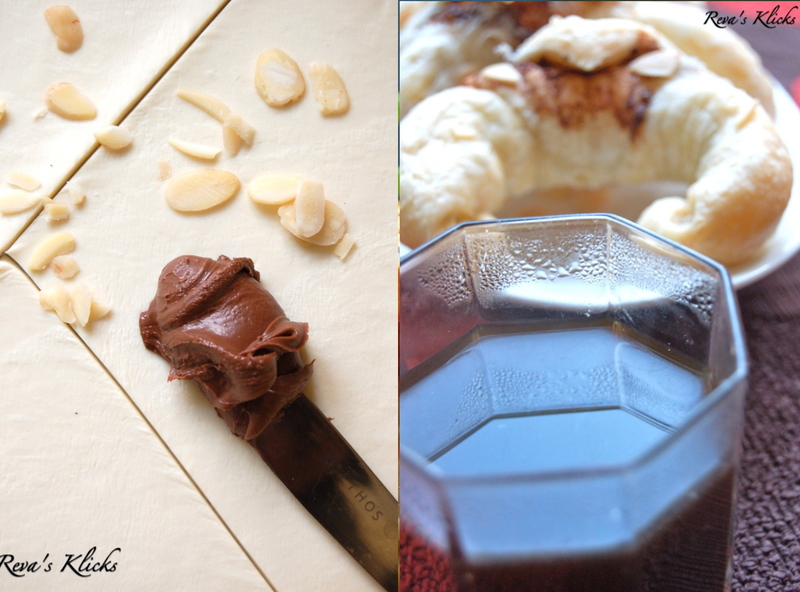 awesome Reva...my son loves nutella....he eats nutella with all you name it breakfast recipes....will surely try this...and thanks for linking to my event!